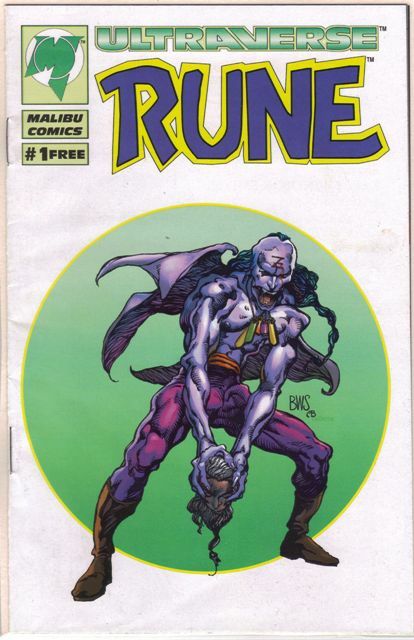 More ashcans … the Rune ashcan was given out as a freebie in Previews magazine back when that came in a polybag (there were usually several freebies — cards, posters, etc. — packed in every one). 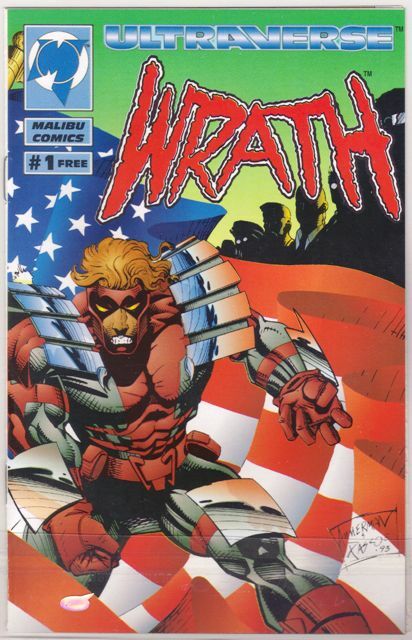 This one was a flipbook with Wrath featured on the other side. 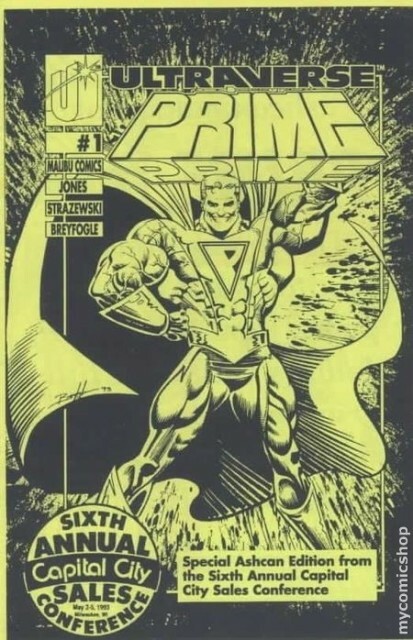 Since Previews was in just about every comic shop back then, this is actually a pretty common book. 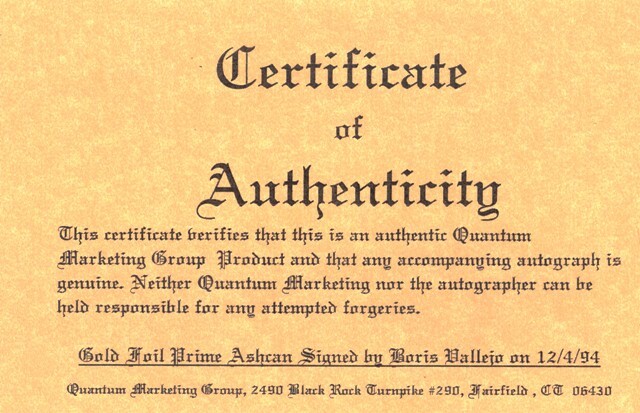 There is a gold foil version of it, and I’m not sure how this was distributed. Dealer incentive for ordering a lot of Previews? 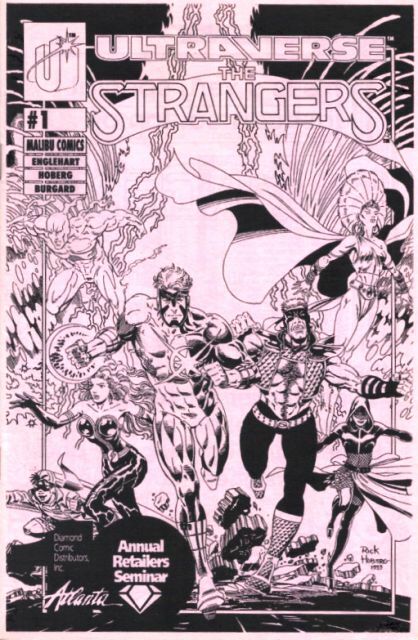 It’s not extremely rare and shows up on eBay now and then. And it rarely goes for more than a buck or two. I’ve picked up a couple as part of larger lots. 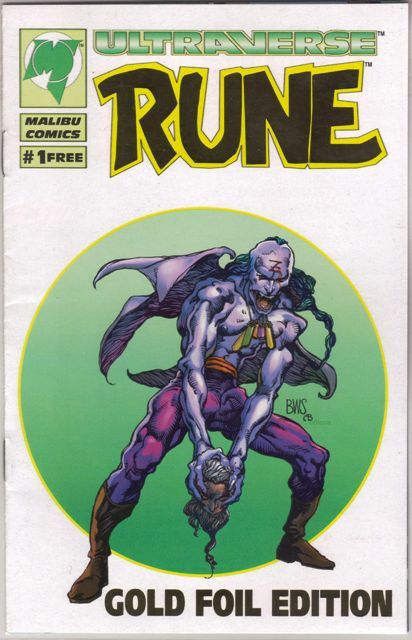 I’d pay a buck for one if I saw it in a comic shop. As you can see, the gold foil version is different because it has, uh, gold foil on the cover. Other than that, no difference and the Wrath book on the back has no foil. Here is the regular version, too. 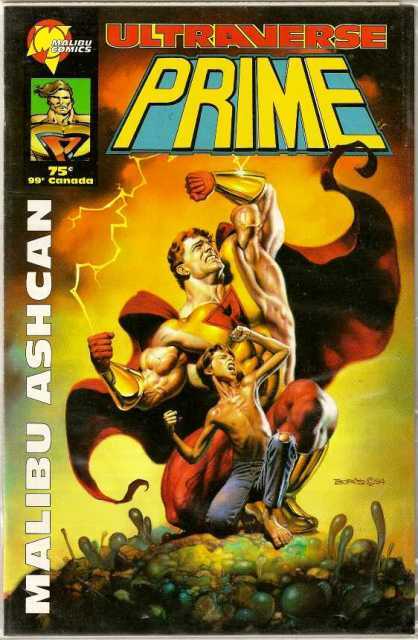 This is another one of those very common ashcans, since it was distributed inside an issue of Hero Illustrated (don’t google “Hero Magazine, that’s something completely different, sheesh). It’s pretty decent quality, nice cardstock. 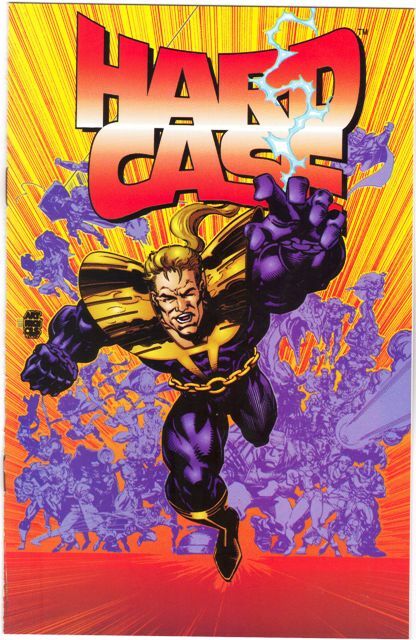 Mine is inside an ashcan-sized, UltraPro-style bag. We can forgive them for stating “Premire Edition #0” on the back cover. 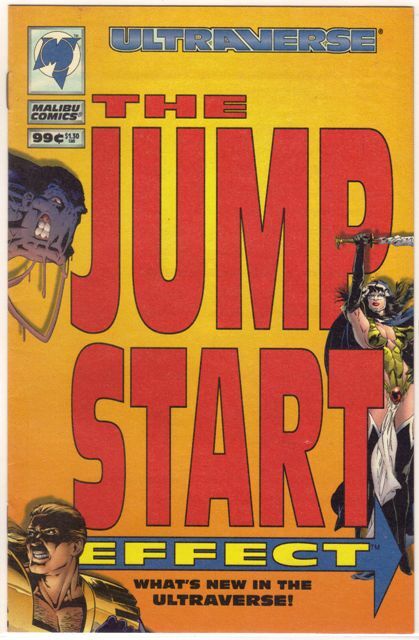 These are very common … quarter-bin material. I think the bag is worth more than the comic. 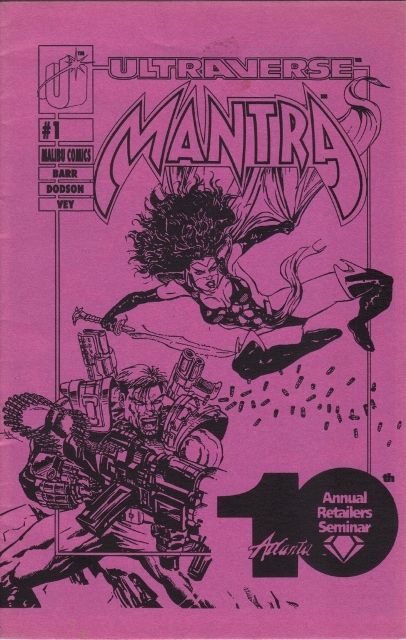 A variant of this was given out at the 1993 San Diego Comic Con. The only differences are that there is no foil on the cover title, and all of the words on the back are spelled correctly. This one is pretty hard to find. I’ve only seen a couple on eBay. I might pay a few bucks if I saw another. There were two other ashcans that are pretty tough to find (these usually go for $10 or so when they come up for auction). 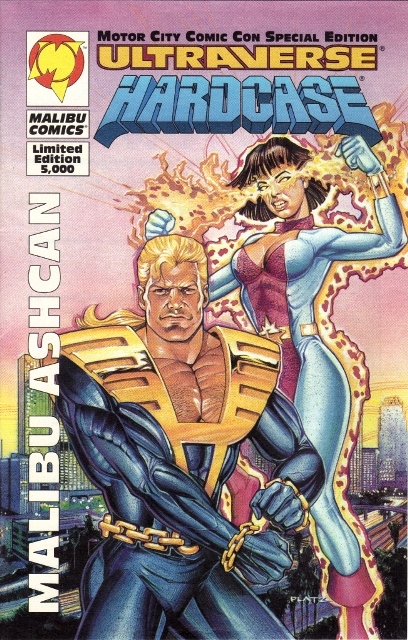 Especially the Motor City Comic Con version. 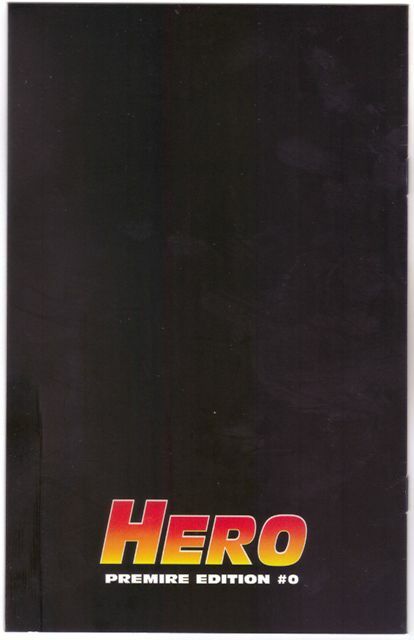 If there were 5,000 of these given out as freebies at that con, I’m betting most people who picked one up couldn’t care less about what happened to it over the years. 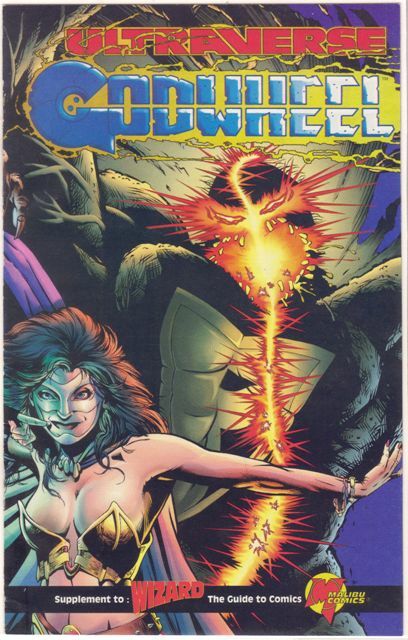 These are two of the few Ultraverse books that I don’t have (yet). 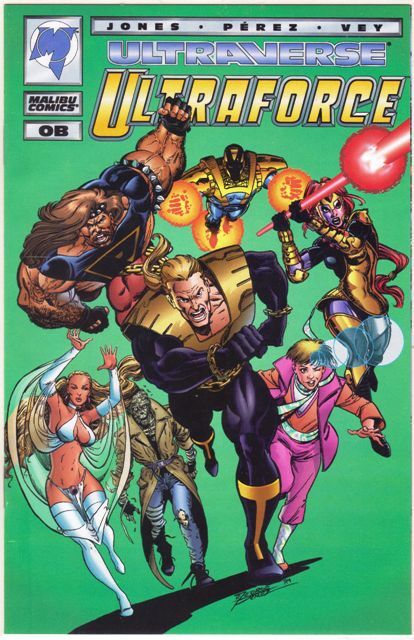 If you want a full run of Ultraverse, you’re going to end up with a lot of little books. I don’t think this one should be very tough to find, but it is anyway. 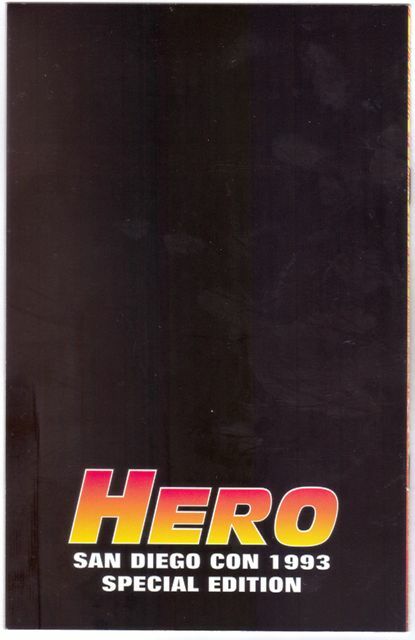 It’s more of a mini-comic than an ashcan, and the story leads into the beginning of the Prime video game for Sega CD. You almost never see these for sale on eBay. I’ve only seen three and they got scooped up pretty fast. I paid $5 for mine. 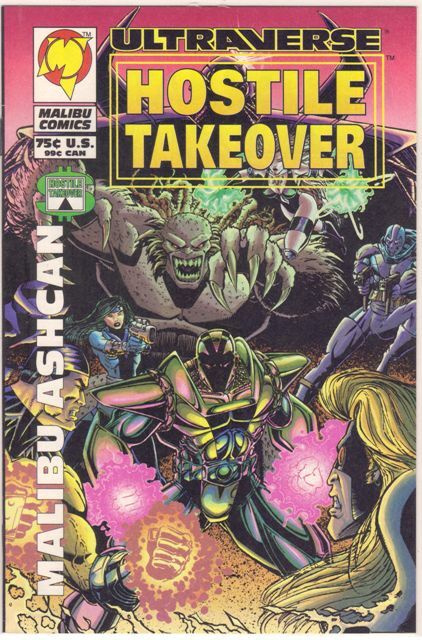 As far as I know this was the only video game for the Ultraverse characters that was released (a Firearm game was apparently in production for the Super Nintendo and Sega Genesis and the ROM appeared online recently), and it was only available on that system. 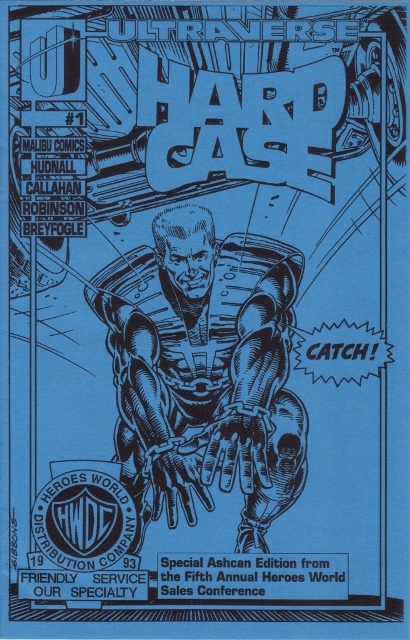 The game was re-issued and packaged with another game (Microcosm) but that one did not have the mini-comic. I haven’t played it, but I can’t imagine it holds up very well. 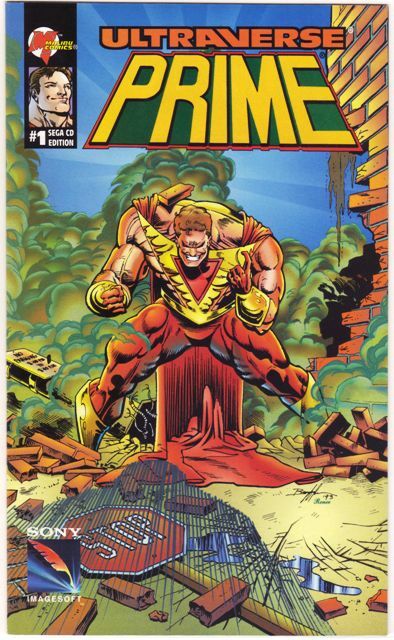 I’ve also bought two boxed copies of the Prime-Microcosm game for under $10 but don’t have one of the Prime by itself. I might pay $10 if I saw one. 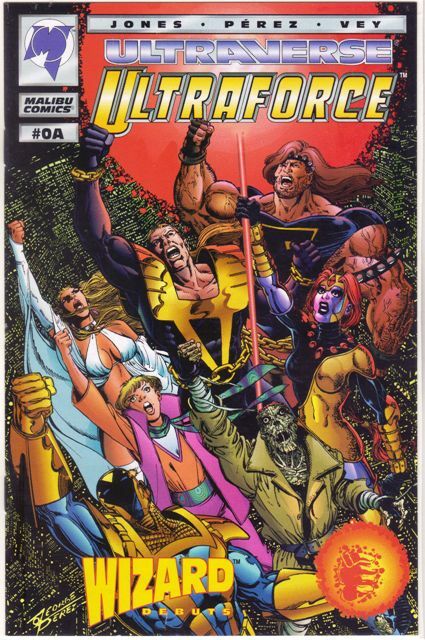 The Ultraverse went ashcan crazy for a while. 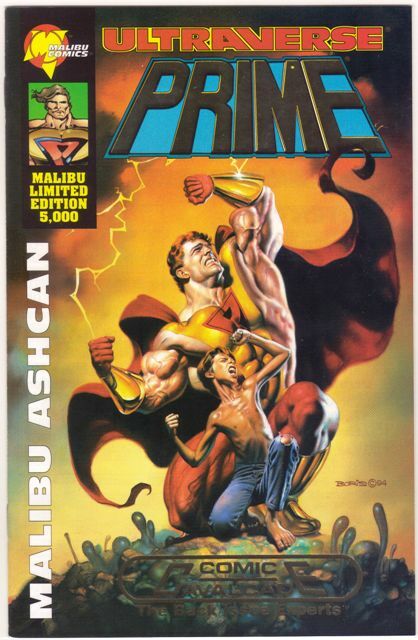 The first regular Prime ashcan had a Boris Vallejo cover that was also the cover to Prime Annual 1. I’m not sure what the print run was, but you can find these very cheap all over the place. 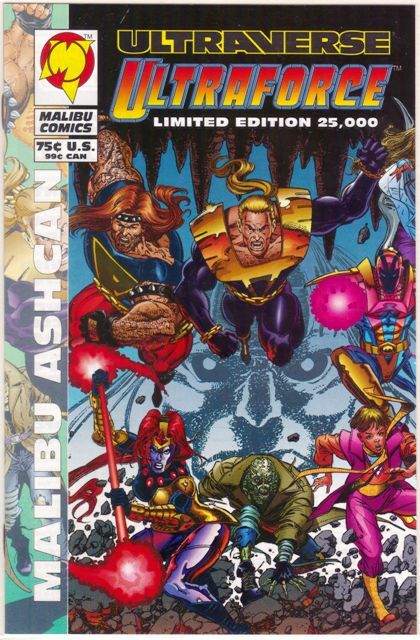 There is another version with gold foil on the cover and a Comic Cavalcade logo, and these say “Malibu Limited Edition 5,000” where the others say “75 cents.” Much tougher to find. 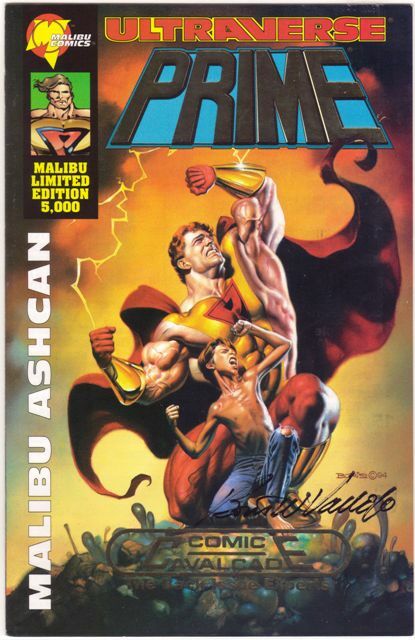 A friend of mine bought one for me from the Comic Cavalcade website; we also picked up a signed (by Boris Vallejo) version of the same book. But that was a few years ago. I just checked their site and they don’t have them anymore. 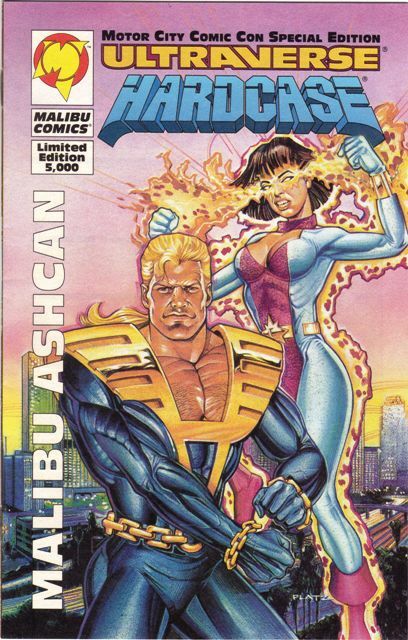 I’m guessing these were used to drum up interest from retailers at various sales conferences in the months before the Ultraverse was launched. Many of them are signed by the comics creators. These usually go for a few bucks whenI see them, but I’m not sure why. They look pretty cheap. 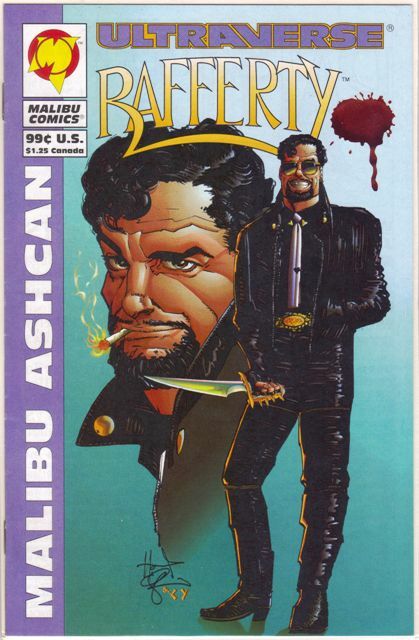 I guess there is a type of comic book collector who likes to go for ashcans. 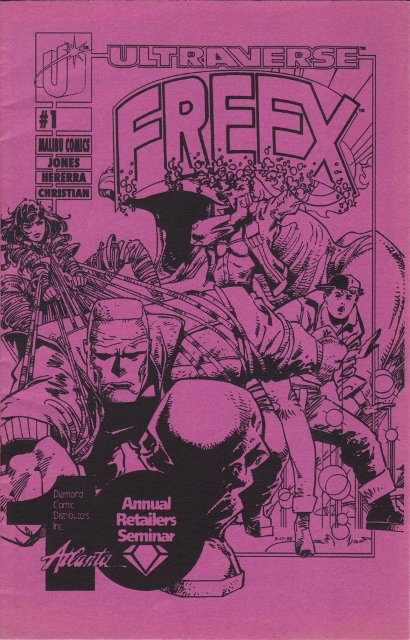 … Freex and Mantra shared a flip-book.